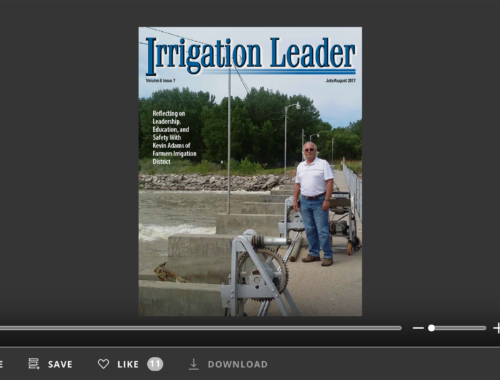 This issue of Irrigation Leader contains articles on food safety, the use of federal water in the growing of industrial hemp, and irrigation along the U.S.-Mexican border. 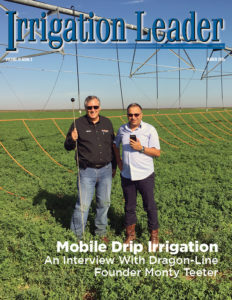 Jeremy Sorensen, general manager of the Strawberry Water Users Association, profiles his irrigation district, its push for title transfer, and the importance of outreach to the next generation of water users. 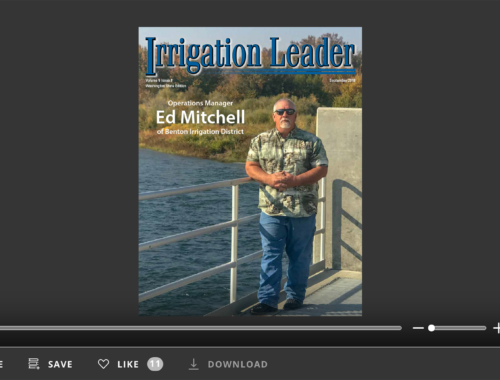 Paul Tuss, executive director of the Bear Paw Development Corporation, shares his insights on the irrigation-led economic development in north-central Montana and the potential for agricultural growth in the region. 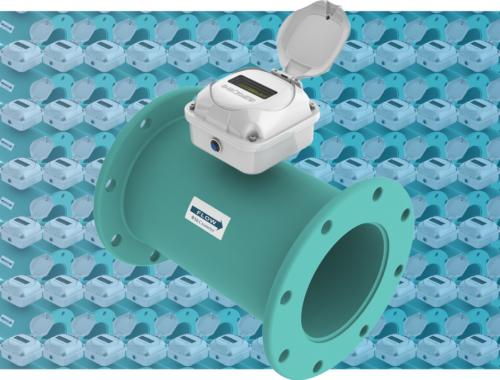 Geoff Flint, president and chief exective officer, and Tom Hauf, senior sales executive, both of CustomWeather, Inc., and Marco Bell, water engineer for Merced Irrigation District, describe the strategies of providing customers with the CustomWeather model, the success customers have with the model, and the goals for the further development of the model are detailed. Melissa Partyka provides an in-depth update on the Federal Produce Safety Rule. Bureau of Reclamation Montana Area Office Manager Steve Davies profiles the permitting process to use federal water in the growing of industrial hemp. Karen Ray, media consultant for Elephant Butte Irrigation District, shares the story of the Lower Mekong Initiative Cross-Cultural Water Resource Tour’s recent trip to New Mexico.